Mark Your Calendars for Pro-Line’s Monster Truck Palooza 2018! After a successful run in 2017, Pro-Line has announced plans for their second-annual Monster Truck Palooza event. Taking place on Saturday, October 20, 2018, this event will feature R/C monster truck action in the form of freestyles, jump competitions, heads-up, racing, and much more, giving a popular genre of radio-controlled truck its own day in the sun. The vehicle classes for this year’s event include 1/10-scale 2-wheel drive monster trucks, 1/10-scale 4-wheel drive monster trucks, solid axle monster trucks, and 1/8-scale monster trucks. 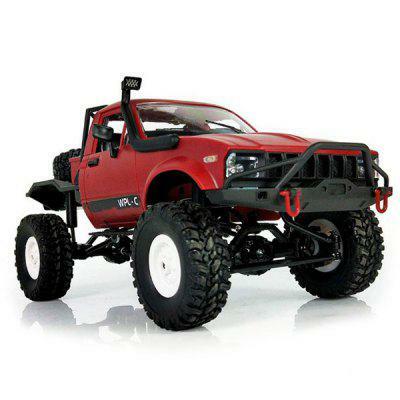 A model-specific class has also been set up for the Traxxas X-Maxx. Even if you don’t own an R/C monster truck, you can always check things out as a spectator. Pro-Line will even have demo stations set up where you can get behind the controls of their PRO-MT 4×4 model. The event is open to the public and is free for spectators. If you want to bring your own rig for a day of fun, registration is taking place on rcsignup.com. For the latest information on Monster Truck Palooza 2018, visit the event page on Facebook.